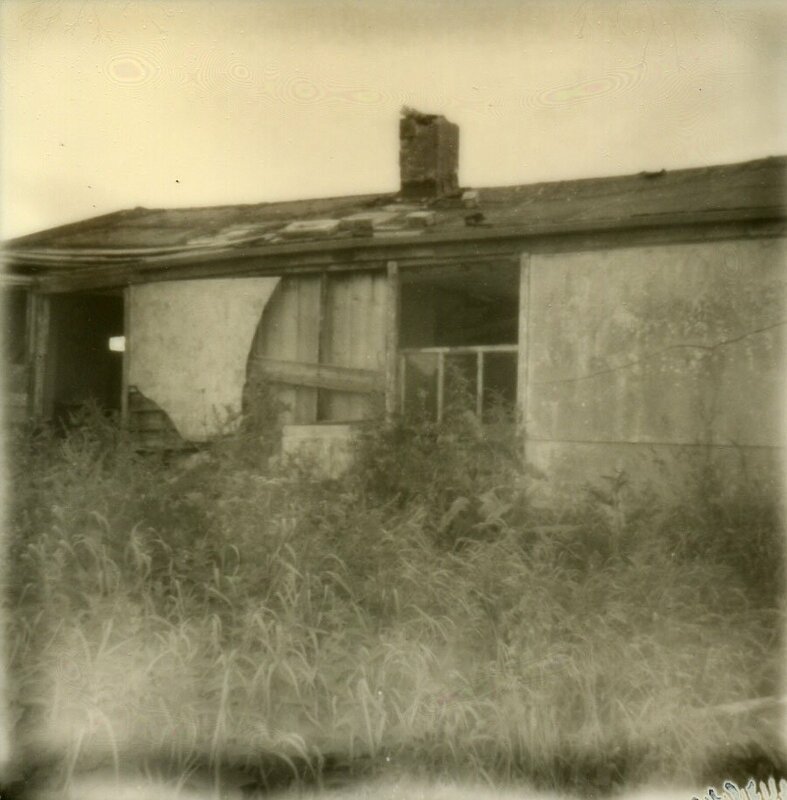 A polaroid from Hoy - it had a black border that I cropped after scanning, another abandoned cottage - once the elements get in then they're gone fairly quick - it doesn't take long either. You can just imagine the first storm that takes off a few slates, or breaks a window. Then birds and animals get in. It's the plants that take over so rapidly though - triffids are the worst. Two days off now as my youngest will be 12 tomorrow and is having 8 - yes 8 - of her friends for a sleepover party. She caught me at a very weak moment. I have the tendency to just say yes and get all caught up and excited - then the dawning realisation comes that I'm the adult who has to sort it all out. Golly, these abandoned cottages sure have loads of potential for art! Love this, Ingrid. Wonderfully atmospheric shot. The effect of the old polaroid is fascinating and really enhances the image. Wishing you strength and fortitude for the upcoming festivities! A lovely shot. But 8...?! Good luck with that! I love how you make things like this just look great. I envy that!! How can there be beauty in derelict? wonderful mysteriousness to this shot... hope you survived the pj party! This is awesome! You seem to have a wealth of derelicts to photograph. Must be part and parcel of the Highland Clearances, I would have thought. You make dereliction so interesting and attractive! @steampowered The clearances didn't happen up here, a lot of Orcadians are descended from folk shoved up the way during that awful time. An old blacksmith told me that as I was originally a Budge from Burray that we were from ones cleared out. I really should get into genealogy a bit but not enough time! Simply loving this, mysterious and a bit creapy, my kind a shot definitely. Love what you have done here with processing! And glad you managed to avoid those Triffids....and that you survived the monster sleepover too. Fav.